*Casa de Campo at Woodstone* is considered the top of the line units at Massanutten! Woodstone was built in the townhouse style and is located outside of the "Kettle" mountain area and very close to the Woodstone Meadows Golf Course, the Spa, and Woodstone Recreation Center. Reduce for immediate sale! Summer Vacation in Week 31! Fabulous resort offers on-site spa, golfing, waterpark & more! Low maintenance fees! Start your year off right! Come relax at this lovely mountain getaway every odd year! Buyer may receive a title fee credit, inquire for details! Price reduced for a quick sale. Scenic and peaceful resort in the Shenandoah Valley! Week 33 usage! Inquire for details! Week 5 every even year during ski season! Buyer may receive a title fee credit, inquire for details! Week 23 during odd years! 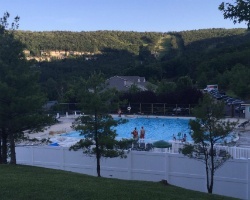 Excellent location for golf lovers, ski buffs alike, or enjoy taking your family to a year round indoor/outdoor water park! 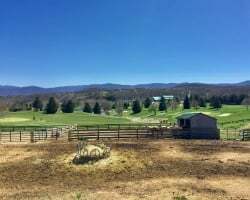 Scenic and peaceful resort in the Shenandoah Valley! Week 37! Buyer may receive a title fee credit, inquire for details! Visit this mountain retreat each year! Lots of great onsite & offsite activities! Buyer may receive a title fee credit, inquire for details! Price reduced! Week 9! Resort features two full-service pro shops & much more. Exchanges with RCI! Buyer may receive a title fee credit. Inquire now! Available during week 52, Prime New Year's week! Buyer May Receive A Title Fee Credit, Inquire For Details! Great resort for enjoying the outdoors year round! Buyer may receive a title fee credit, inquire for details! Motivated Seller. Peaceful location not far from many available activities! First usage is 2019! Buyer may receive a title fee credit. Come enjoy skiing, snowboarding, snow tubing and more! Week 1! Buyer may receive a title fee credit, inquire for details! Price Reduction! 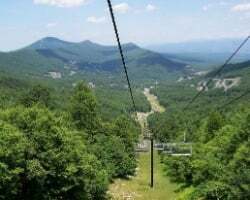 Upscale Massanutten resort with many activities! Great for families! Week 1 every year! Inquire for details! Peaceful location close to nature! Enjoy easy access to many activities in the area! Week 49! Inquire for details! Price Negotiable! Enjoy unforgettable stays at this mountain getaway! Week 50! Lots of family-friendly attractions nearby. Inquire now! All four season resort! Great for all ages! Week 52! Buyer may receive a title fee credit! Onsite amenities include a water park and dining! Perfect family vacation location while enjoying the scenic beauty of the Shenandoah Valley! Buyer may receive a title fee credit, inquire for details! Luxurious and peaceful resort in Massanutten! Annual week 10 usage! Inquire for details!